The recipes in my second cookbook came as a result of my daughter. Christina wanted to loose some weight and eat healthy. 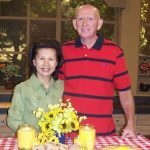 She asked me if I could come up with some healthy recipes for her that tasted like the fast foods that she liked to eat. She was amazed how delicious they were, and that they tasted as good as what she was eating. 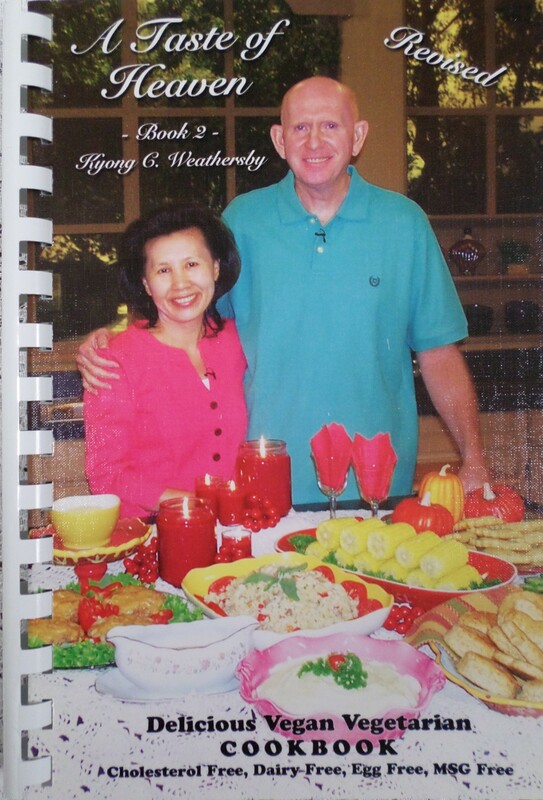 I really love this cookbook, and I know that you will too! 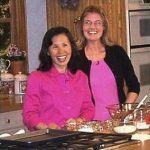 This cookbook contains 200 absolutely delicious recipes that you will enjoy fixing breakfast, lunch, dinner and healthy desserts for you and your family. 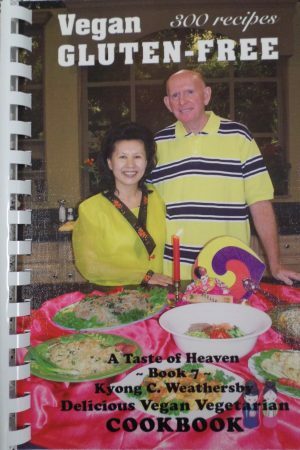 I took many recipes out and ADDED many new recipes in this revised cookbook. 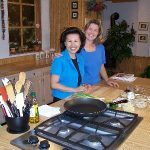 All recipes are so easy to follow, and delicious, and so healthy for you. You can find most of the ingredients in grocery stores. 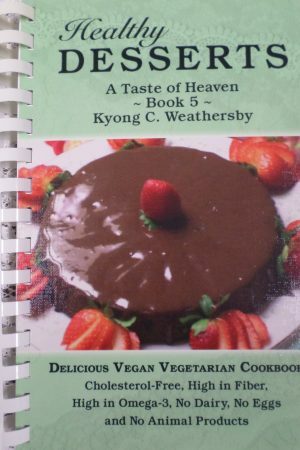 If you want to be a vegetarian, and you are concerned how to substitute meat dishes, then this cookbook is for you. 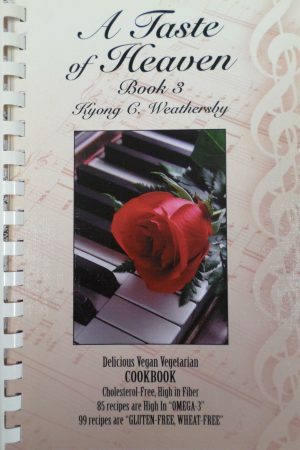 You will find recipes such as vegetarian beef, vegetarian chicken, vegetarian turkey, vegetarian chicken lunch meat, vegetarian beef lunch meat, vegetarian bologna lunch meat, and many protein dishes in this cookbook. You will be amazed how the flavour and texture are so much like real, yet there is no Cholesterol, and no Mad Cow Disease, no Bird Flue, no Virus, and no Bacteria. 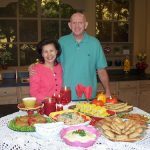 Many recipes have been shown on 3ABN (Three Angels Broadcasting Network) and on “A Taste of Heaven” Cooking Shows with RMCC-TV in Mena, AR. It has 200 delicious, quick, and easy recipes designed to provide you with the nutrients that help fight many killer diseases. 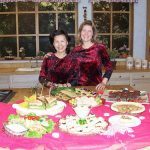 The recipes include Breakfast, Breads, Main Dishes, Soups & Side Dishes, Desserts, Salads, Dressings, Cheese, and Spreads & Etc. 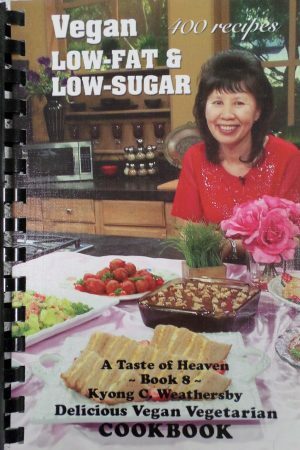 This cookbook is Cholesterol-Free, Dairy-Free, Egg-Free, Low in Fat, MSG-Free, No Baking Powder or Baking Soda, and no irritable Spices. It has 98 recipes that contain SOY and lecithin granules, important nutrients that will help reduce Cholesterol and Heart Disease. If you’ve been trying to lose weight all your life and have never been successful, then this diet will help you lose weight. You can eat an abundant amount of Fruits, Vegetables, Whole Grains, Beans, Nuts, and still have Successful Weight Loss. If you are wanting to be a vegetarian, but don’t know how to transition into one…this cookbook can help you substitute all the unhealthy foods into nutritional foods.